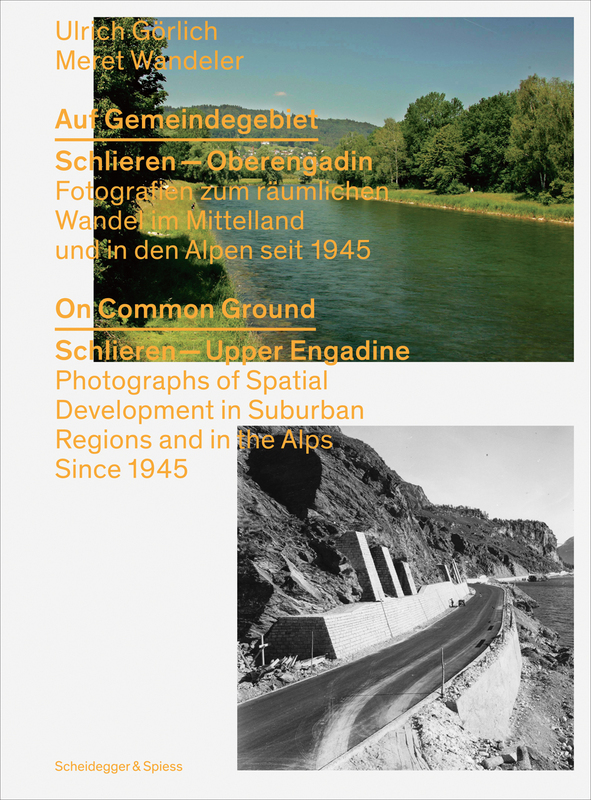 On Common Ground presents a history of spatial development in post-war Switzerland through 250 images. The authors draw on a vast collection of photographs found in archives of all sorts: local government offices, building companies, local and national newspapers, publishers of postcards, cultural heritage societies and amateur photographers.This carefully assembled volume looks specifically at the town of Schlieren, which today is a suburb of Zürich, and Upper Engadine, the world famous mountain resort near St. Moritz in the Canton of Grisons. Tracing the rise of the suburb, On Common Ground arranges images of each location in more or less chronological sequence—the top of each page shows Schlieren, while Upper Engadine is shown on the bottom, allowing for an easy visual comparison between the two regions. This unique study offers a novel way to understand the urban transformation of Switzerland since WW II, and by extension the modern rise of suburbs in central Europe. Two essays are provided in order to contextualize the photographs within Swiss history and the socio-economic developments during the second half of the twentieth century.